The opening line of Yasunari Kawabata’s “Snow Country” is a favorite quote of the Japanese. It’s one of those lines that people like to quote out loud, even when they haven’t read the book, but it’s somehow all right because the sentiment can be shared with just that line. Kawabata’s Snow Country is the Echigo region, part of modern day Niigata Prefecture and one of the snowiest places in the country. It’s also now the stage for Echigo-Tsumari Art Triennale, the largest outside art festival in the world. And, in my opinion, it’s one of Japan’s best kept secrets for non-touristy travel. 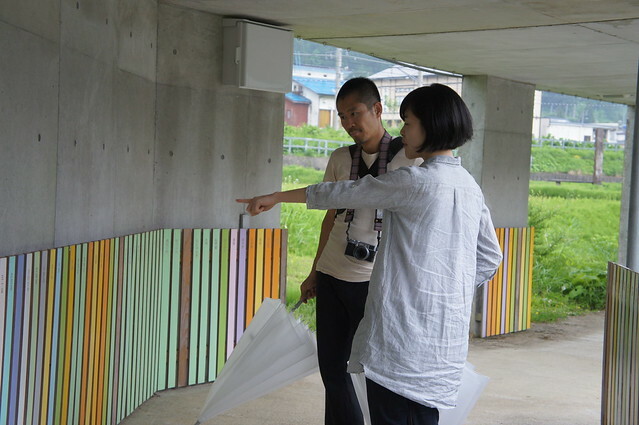 Coming out of a successful multi-year web project that led up to the inaugural Setouchi International Art Festival, AQ was tapped to re-build the Echigo Tsumari festival online presence at the beginning of 2011. We’re long time fans of the festival, having made the trek with Tokyo Art Beat way back in 2006 for the 3rd Triennale to stay at James Turrell’s “House of Light”. 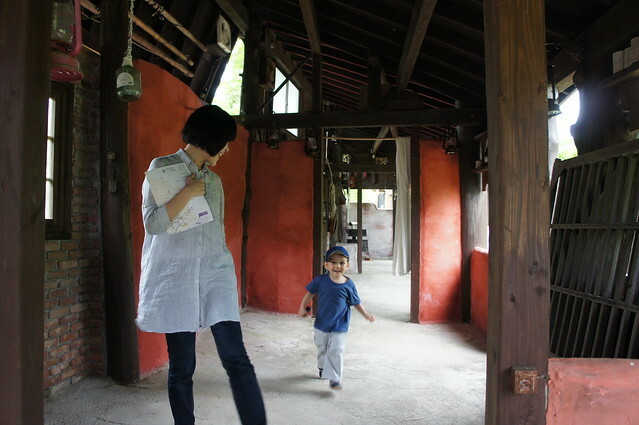 In September 2009, AQ took a field trip to catch the 4th Triennale. We’re psyched to be involved, to put it mildly. And after a series of workshops to plot a five year digital communications plan and several rounds of wireframing, we were more than ready for another trip. Paul, Eliyo, Ishida-san, and I took the bullet train to Echigo Yuzawa, a quick 70 minute ride from Tokyo. There was a snafu with the rental car - it made strange noises - and we got an “upgraded” car after being personally escorted to a rival shop in the next town. From there, we sped off to Tokamachi to meet up with Eiko, who was running late. Paul reveled in the new car. On the road, misfortunes have a way of unexpectedly turning into delights. Lunch was dumplings and wild vegetables at Ubusuna House, served on hand-made ceramic plates. 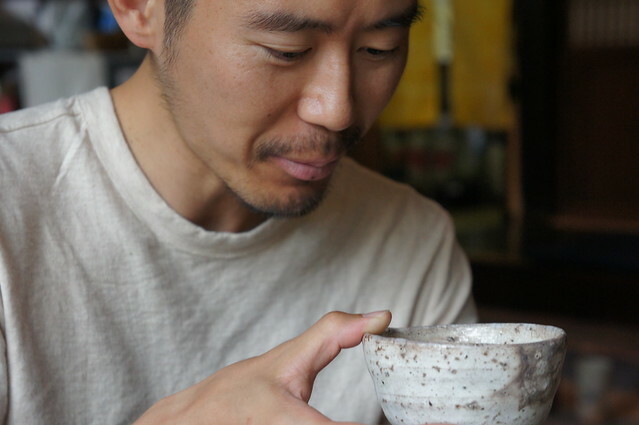 Ubusuna House is a blink-and-you-missed-it house turned ceramic museum/restaurant. Ceramic artists collaborated to immaculately restore this two story house, which includes three tearooms for exhibiting artwork. Matsudai Nobutai is an impressive facility. Integrated with Matsudai Station on the Hokuhoku Line, it’s the first stop for most visitors and sets the tone for what’s to come with a great artwork/cafe space, gift shop, and dozens of installation works within walking distance. 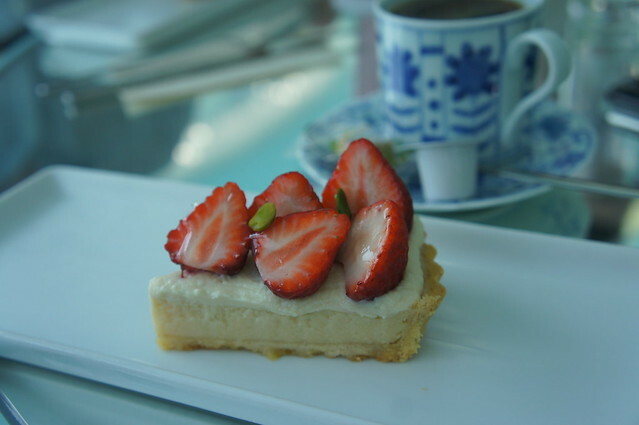 Strawberry Fair at Cafe Reflet. Our secret mission of the trip, accomplished. The site for Ilya & Emilia Kabakov’s ‘The Rice Field’, one of the representative works of the area. It’s currently under repair from earthquake damages. The House of Light starts taking reservations six months in advance, and we had been fortunate to slip in on a Sunday night. It sprinkled in the evening and poured the next morning, so the pleasure of a full blown sunset/sunrise experience would have to wait for another trip! As evidenced by the lack of photos, we just took it easy. 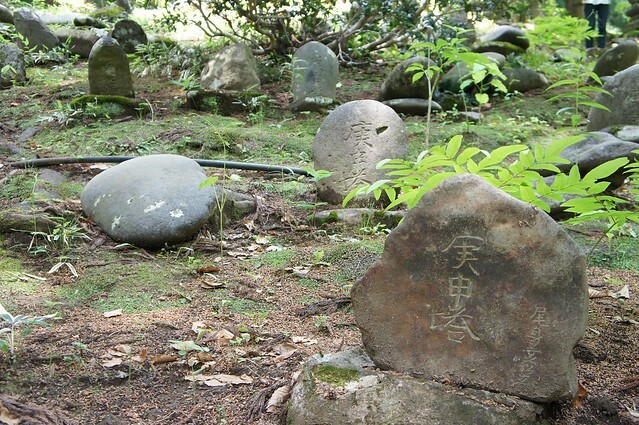 One doesn’t ignore advice like that, and we stumbled upon what turned out to be Stone Buddhas of Hachi [ja]. Local legend says that a godly creature descended upon a stone 240 years ago, awaking a travelling Zen monk that was camping in the woods. He built a temple upon that stone, surrounding it with almost 200 stone Buddhas. Local school kids cleaning the sacred site. Shoes are now allowed. Illustrator Seizo Tashima turned this abandoned school into the Ehon-to-Kinomi Musem. He wrote a picture book titled “The School Will Never be Empty” based on the last three kids that studied at this school. 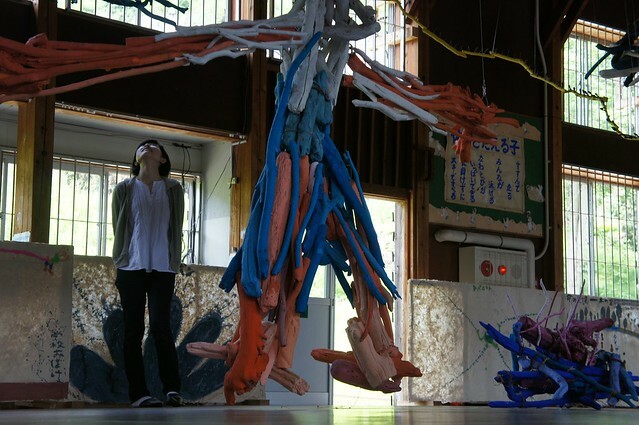 The characters are represented as huge installations made of wooden skills that are placed throughout the school, playing out scenes from the book. Many of them move because they’re connected to a shishi odoshi. It’s haunting and joyful at the same time, and “3D museum” is an apt description for the space. We ended up staying here for a few hours. 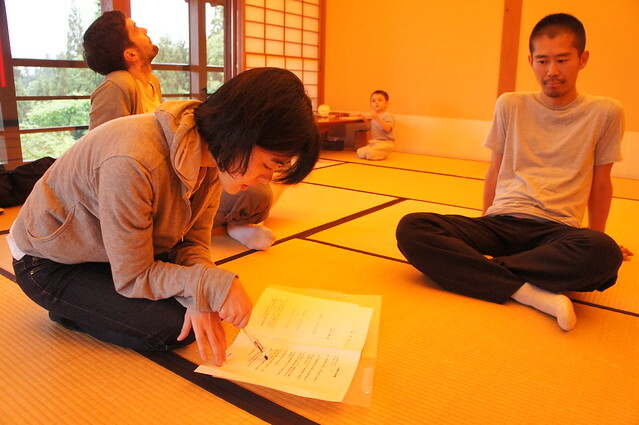 Tashima is most well known for the book “Chikara Taro”. It’s a story about how an ojiichan and obaachan were so lonely for a child that one day, they took a bath and rolled up their grime into a little boy doll. They poured so much love into it that the grime ball came alive and thus, Chikara Taro was born. I’m fairly certain he went on to combat demons and save villages and such, but that’s really the only part that I remember. 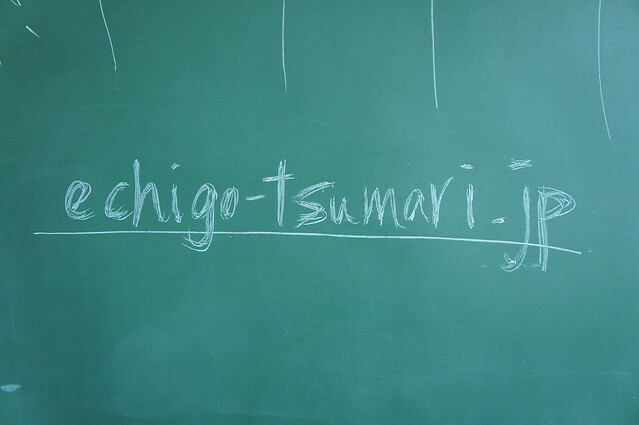 Anyway, the story is Japanese language textbooks for elementary school. The commoner’s Pygmalion. The cafe Hachi on the first floor. 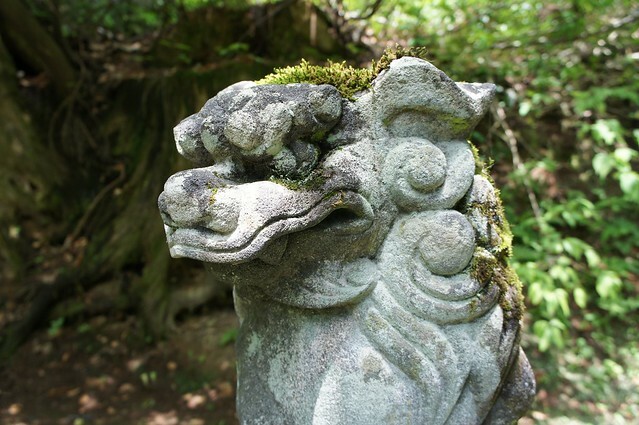 Akiyama-go is a series of waifs tucked away between high mountains in Niigata and Nagano Prefectures. 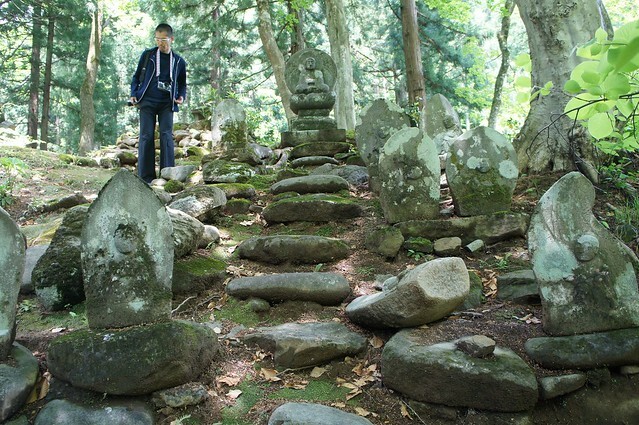 It’s said that Heike warriors and their families fled here to escape death from the Gengi in the 12th century. It’s a harsh and unforgiving land where famine, following a bad crop, would cause entire villages to disappear. For most of its existence, Akiyama-go had been closed off from the rest of of the world because of the heavy snow. 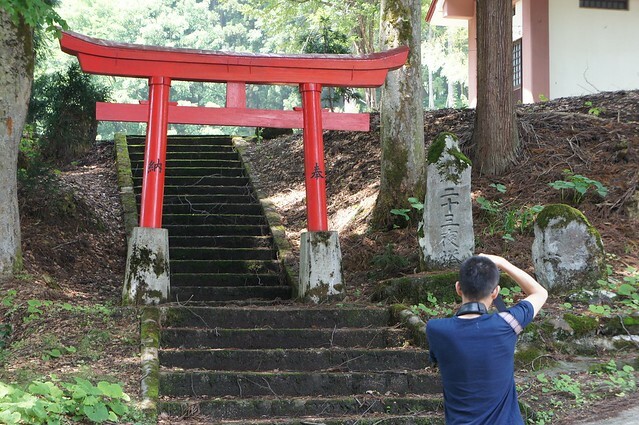 Some say that when surveyors came to this land in the Showa period, villagers asked if the Gengi were still in power. 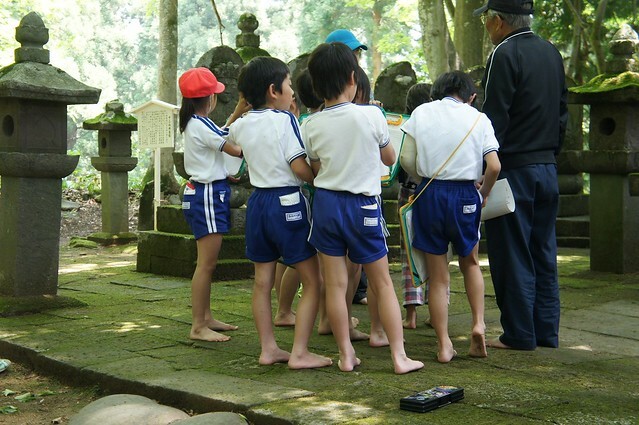 Katakuri-no-yado is another elementary school that no longer has school kids. It’s been turned into a lodge, and it’s a grand building. I’m definitely coming back for some hiking. This was one of the last scenes that we saw as we sped towards Echigo Yuzawa Station to catch our train. There’s definitely something to be said for visiting the area during an non-Festival season, and we’ll be back again and again! Photos by Ishida-san and Tomomi.